It has never been easier to afford, barista style coffee at work or in your hospitality business. 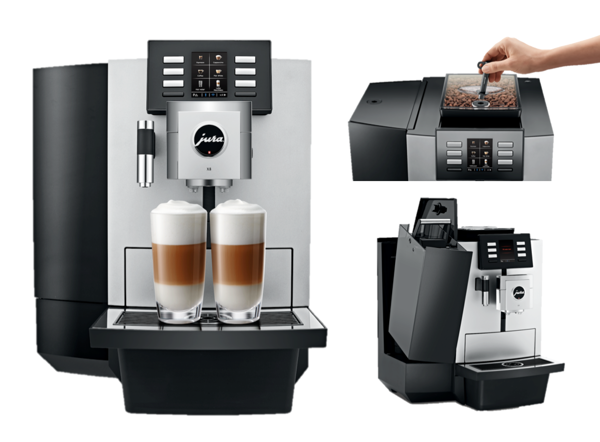 Designed to suit a medium size office or those making 60-80 cups a day the Jura X8 has all the features of a commercial machine at a mid-range price. At the press of a button you have a perfectly extracted coffee, it’s simple features make it easy to use and maintain while behind the scene you have a machine with expert barista technology; designed by Jura one of the world’s leading Swiss coffee makers. The ultimate coffee machine for businesses. 21 programmable specialty drinks, and special technology allowing for a classic pot of coffee. Latte, cappuccino, flat white, espresso, coffee, a pot of coffee, macchiato, and ristretto, along with hot water for tea and hot chocolate drinkers, the Jura X8 covers all your drink options, and the new technology allows it to create long blacks by way of by-pass, this means the coffee is not over extracted when pouring a large cup. The bean container and water tank can be locked along with the maintenance buttons to prevent unwanted re-programming by users. Ideal in the workplace, you can control who has access, to clean and maintain the machine. Perfect for self-service with 6 large selector buttons on the front panel. Choose the coffee’s you want on the main screen, easy self-serve design. Those using the machine only need to push an easily displayed button, all the convenience of a vending machine with the quality of a true barista. Innovative Aroma (G3) grinder, designed for speed and preserving coffee aroma along with Jura’s (P.E.P.®) Pulse Extraction Process for optimum extraction. Jura design every piece of technology to ensure the best extraction of coffee from fresh beans, with grinding precision and the P.E.P.® technology to pulse the water through the grinds, extracting the best possible flavour. 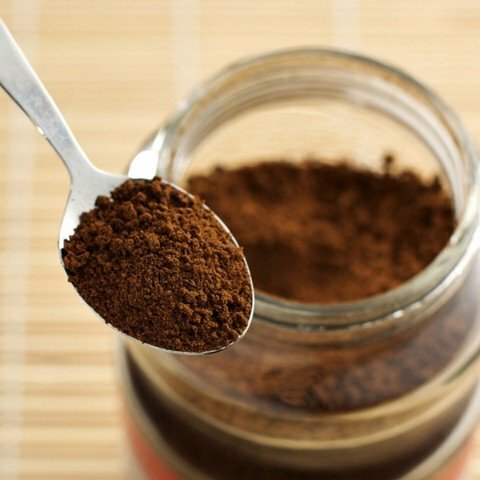 This can be seen in the crema after coffee is poured, a rich creamy texture with a beautiful coffee aroma. One step preparation technology – fine milk foam and milk foam. The fine foam and foam technology pour automatically, frothing the milk as a barista would do. 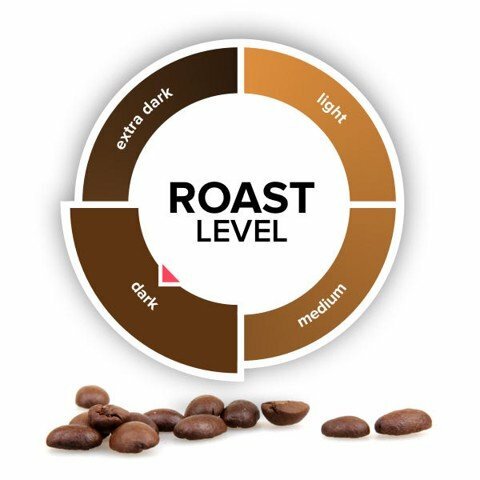 Simply pop your cup in place, press a button and watch your perfectly extracted coffee pour combined with the perfect milk for your drink of choice. The milk system cleaning is automated and runs at the touch of a button. Hassle free easy cleaning cycles, the machine not only prompts you when it needs a clean, it displays images on the front screen showing you what to do step by step. Large 5 Litre water tank or plumb into the mains. Enjoy both options with this machine, having a water tank allows for portability all you need is a standard power point where you place your machine. Jura's new feature allows you to lift the water tank forward rather than up, so the machine fits under overhead cupboards. If filling the water tank is too labour intensive you can opt for the plumbed version attaching directly to your water supply for automatic fill. Coffee container 500g capacity, with the optional extender it will take a full 1kg of beans. Compact in size it fits most spaces, dimensions. (WxHxD) 37.3 x 47 x 46.1cm. Height increases to 52.4cm with bean extender. Jura only makes coffee machines, putting all their resources into the best automatic machines you can buy, it is no wonder they have Roger Federer as an ambassador, he too puts all his energy into perfecting his game. 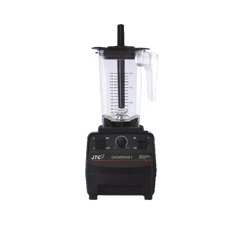 The Jura X8 has all the features you could want with a sleek interface that is simple to use yet packed with commercial grade functions. All this technology wrapped up in an affordable package for under 3800 USD and you can enjoy the beautiful coffee aroma and great tasting coffee with ease.